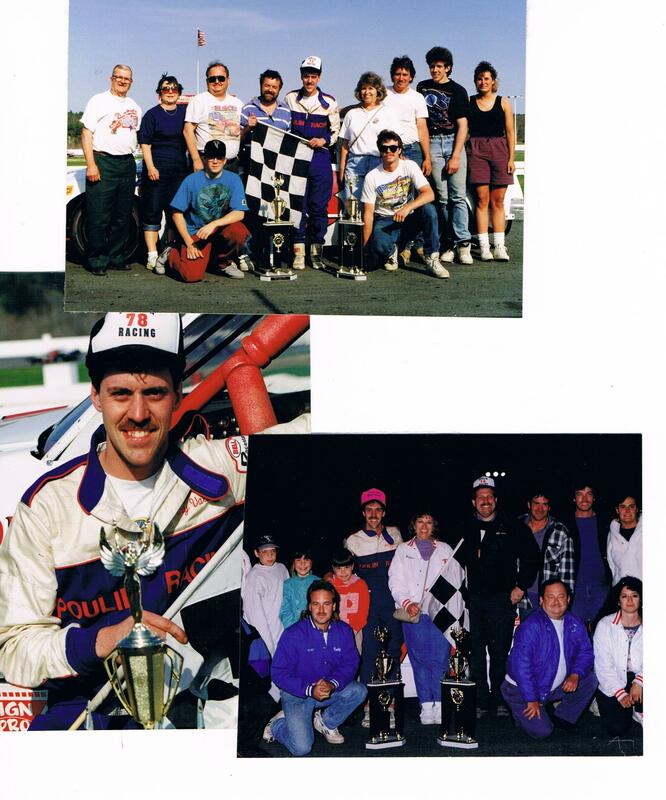 We started racing with Larry Vassar in the Late Model Divsion in 1992. 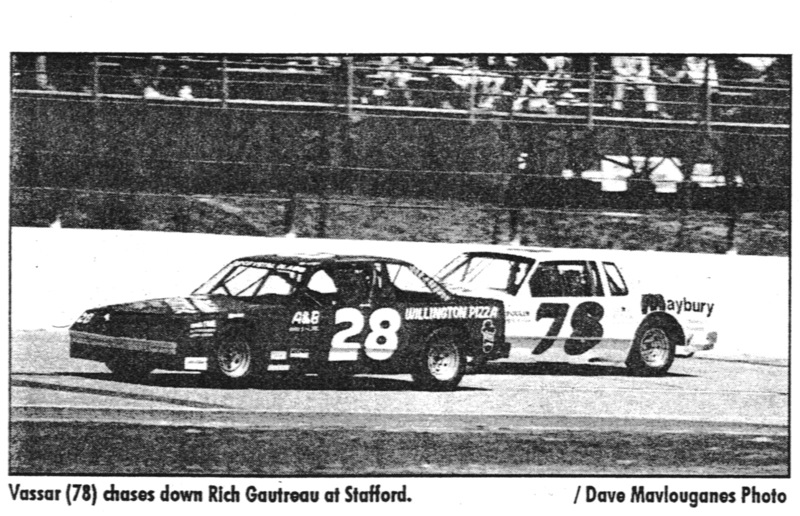 At that time, on any given week, there was a field of some thirty cars looking to qualify and race. Our car was housed at Cliff Stakey's garage. 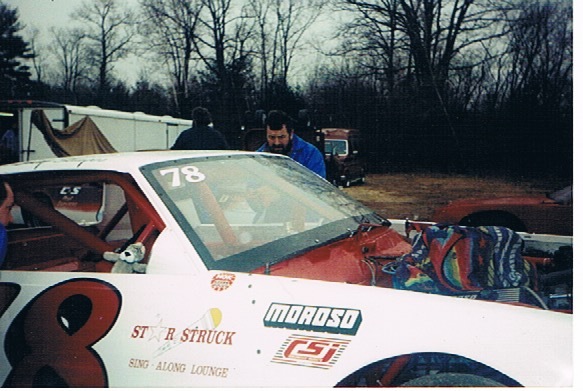 Cliff also raced at that time. 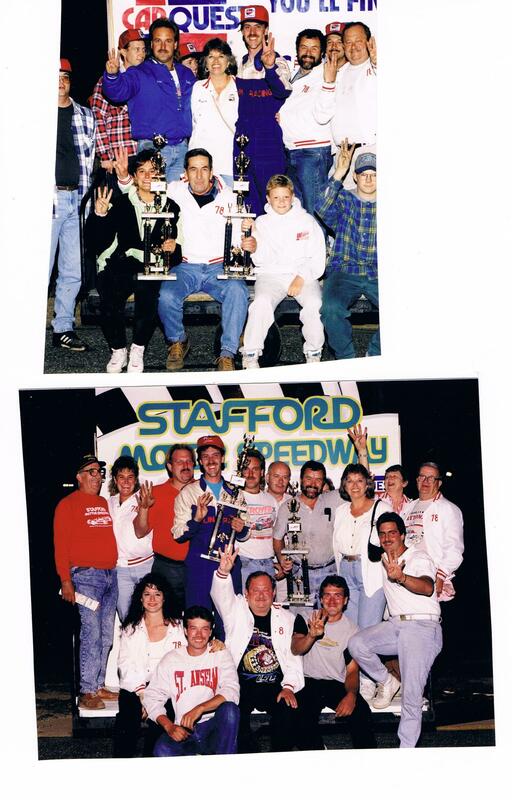 We won at both at Stafford, our home track and at Thompson. There was lots of energy, good people on our team, and every week was a happening! 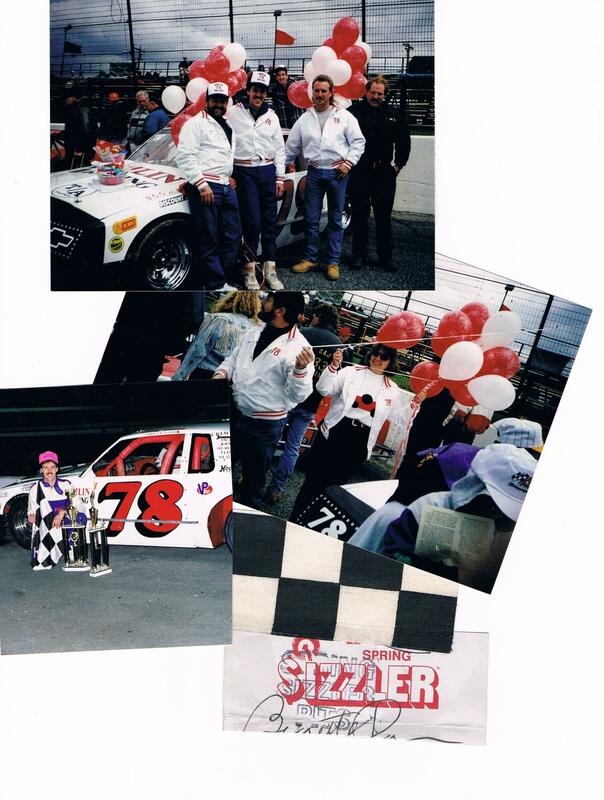 1993 Season started with our winning the Spring Sizzler and we would go on to win a total of five races at Stafford and five at Thompson Speedway. Now about Thompson, we also took three disqualifications. The car was faster than anyone had ever seen before and I can still see Paul Heard, who was then "ofiiciating" standing on the hill in the first corner, saying ---no matter what, I will disqualify them. 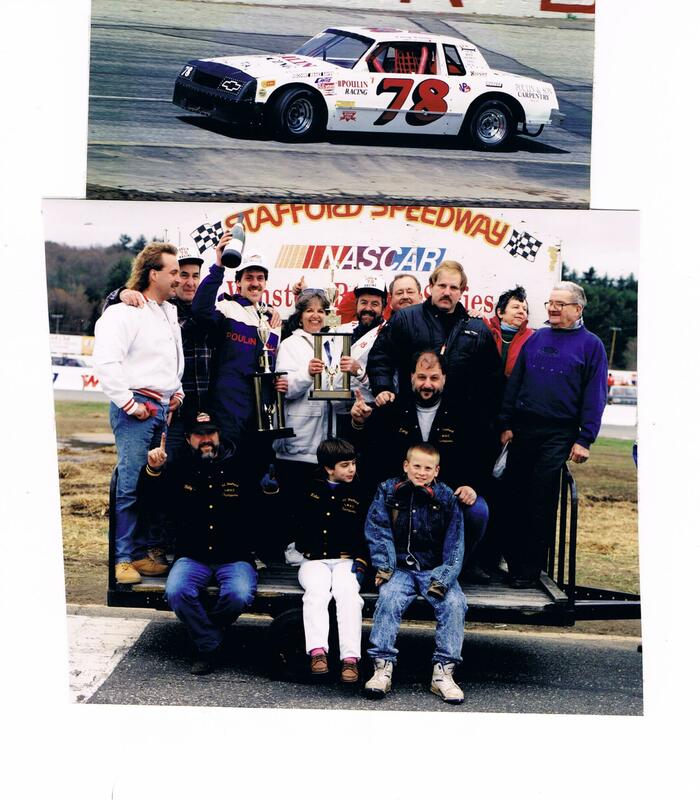 So they searched, and climb in and out of our car and kept us waiting at the track on Sunday nights well into early Monday morning and.... came up with "something". 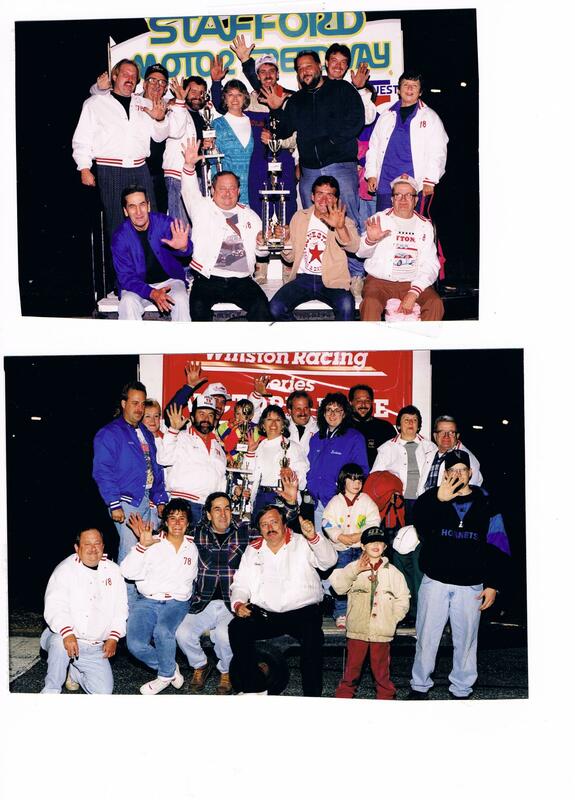 Just ask Ricky Shawn, it got to be a joke, he was happy to come in second to us, he would also wait with us and get the trophies. In 1994, I kept a diary, week to week thoughts and comments and created a book. This was given as both a surprise and a thank you to everyone who was on that team.